Nations Press feature news House of a Mistress of Alleged Mayor Drug Lord,Decorated with 500-Peso Bills goes Viral! House of a Mistress of Alleged Mayor Drug Lord,Decorated with 500-Peso Bills goes Viral! SPONSORED LINKS Recently Pres. Duterte give names of Generals who are allegedly engaged in Illegal Drug Trade, in his strong campaign to eradicate Illegal Drugs in Philippines, he appointed Dir.General Ronald Dela Rosa as Chief PNP to help him implement and make the Philippines free from criminals. In a facebook page Ronaldo "Bato" Dela Rosa, he posted names of Politician who are allegedly protector of Drug syndicates, and among those names, A certain Mayor (hidden) now makes round on Social Media sites together with a Photo with his alleged Mistress. Photos of an alleged mistress of the Mayor, is going viral and continuing to circulate online. In one of the said photos, The woman can be seen posing alongside a BMW worth P7 Million! Facebook page StealthX Duterte Agent vows to show more of these pictures, and eventually reveal the lifestyle they have been living for the past years. 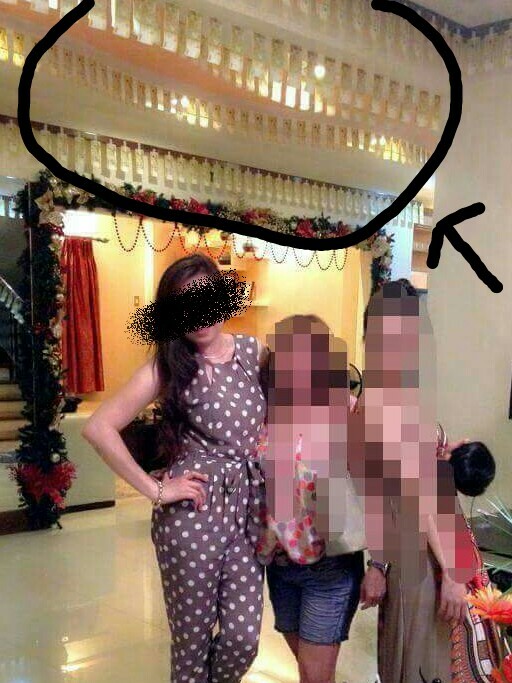 The most shocking part of those photos shows their ‘mansion’ decorated with P500 bills, from its walls to the ceiling.Aside from the mansion decorated with P500 bills, the woman can also be seen in the following Facebook post carrying a variety of designer bags, showing that she has a vast collection of the said bags—which are worth hundreds of thousands of pesos.